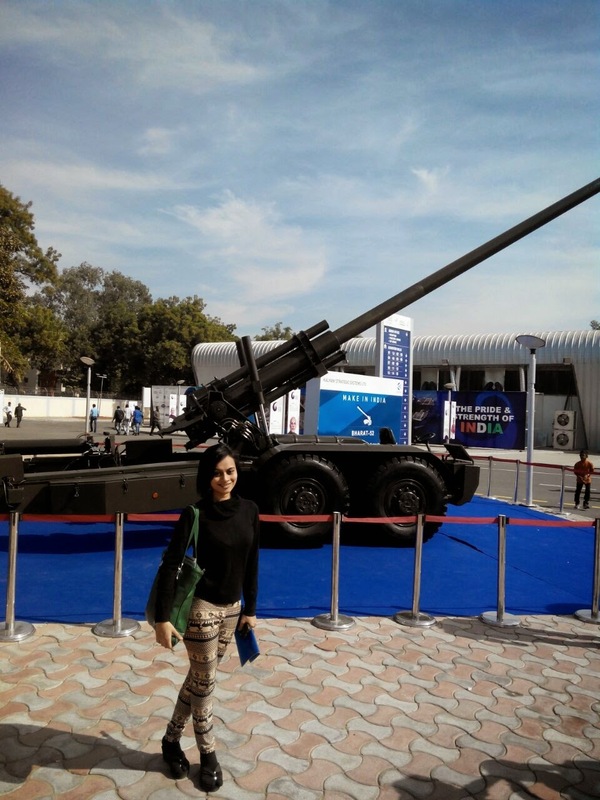 All of you might know all there is to know about Vibrant Gujarat, but I went to visit it for the first time this year. Vibrant has been a major event in Gujarat since the year 2003 and is held every alternate year. I was in seventh standard in school when it was inaugurated for the first time and I remember it was held during Navratri, so I thought it was something related to Garba. However, as I grew up I came to know about its standing and impact. Vibrant Gujarat is the biggest summit Gujarat has ever witnessed which has provided enormous prospects to the State to display its competency in diverse fields, investor friendly climate, modern technologies, art and culture of Gujarat. Vibrant Gujarat 2015 was a resounding success with 110 countries participating, 400 B2B meetings and colossal investments. 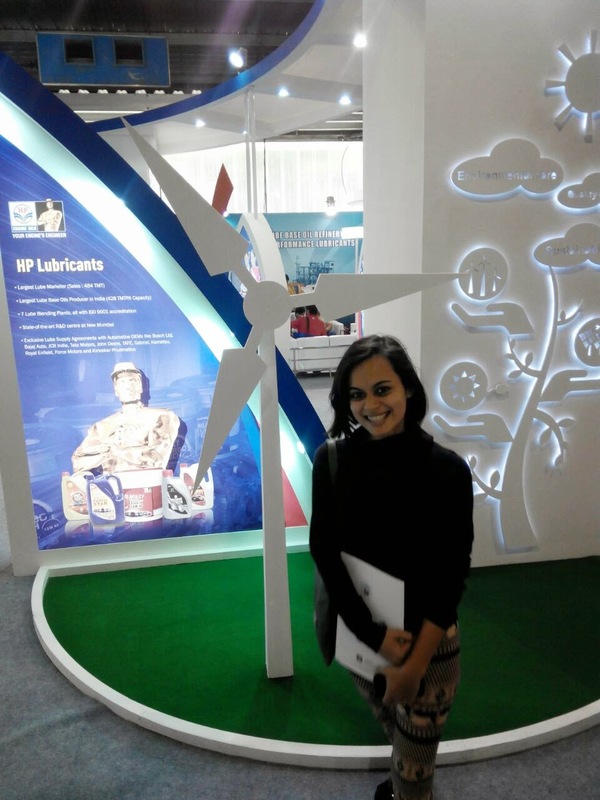 The Driver Training Programme by PCRA (Petroleum Conservation Research Association), MOIL Ltd (Manganese Ore Ltd) and a company called the Westinghouse had interesting showcases to name a few. Gujarat is indeed soon becoming the Global Business Hub with the 7th edition of this fascinating summit. 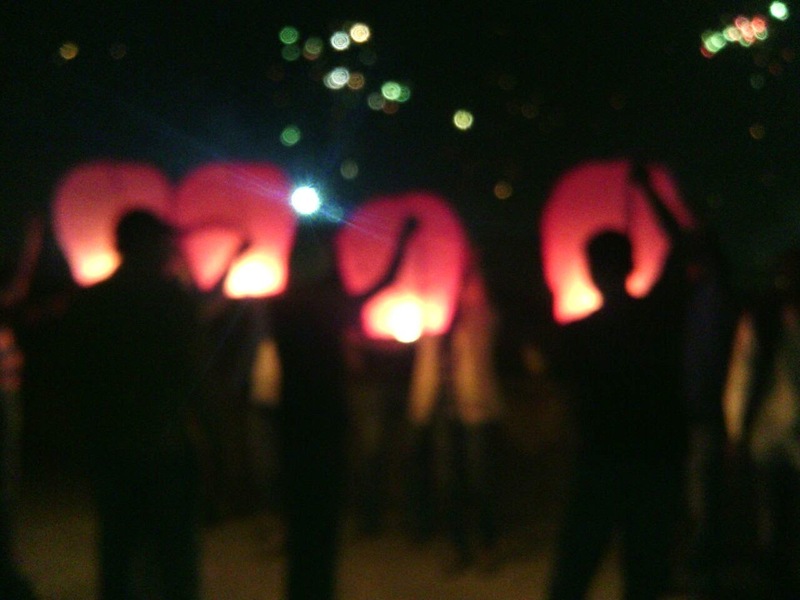 Yes, that’s what we call the night before Uttarayan. 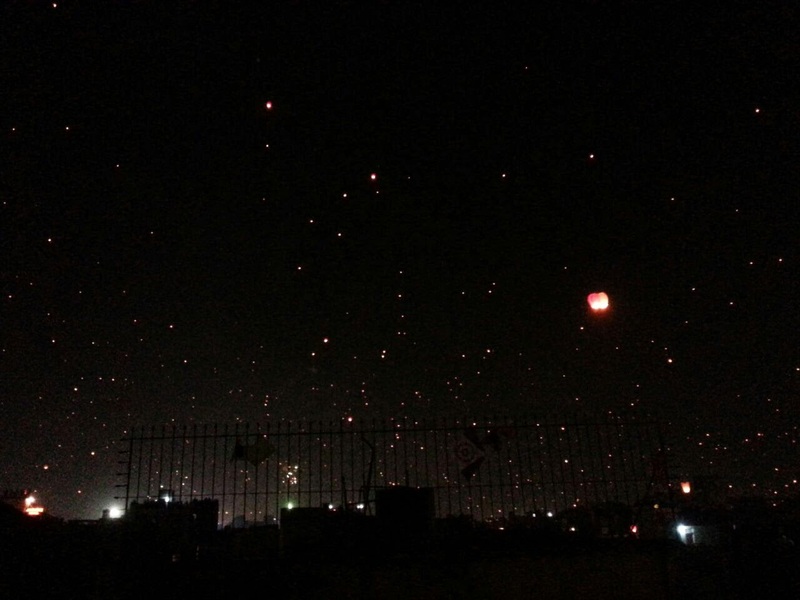 Widely known as Makar Sankranti, Uttarayan is celebrated in Ahmedabad with great gusto every year on 14th (and 15th) of January. It has an astrological significance as the Sun enters the zodiac of Capricon (Makar), and this transition of Sun is celebrated as Makar Sankranti (Sankranti means transition) as it marks the beginning of Spring. Due to this astrological significance, this day is celebrated all over India in many different ways. There are a lot of stories from the Indian mythology associated with this festival. It is described in Mahabharata that king Bhisma, who had the power to control his own death, happened to choose to die on the day of Maghe Sakranti, hence it is believed that one to die on this day might achieve Moksha, a release from rebirth cycle. People in the South of India often celebrate it by lighting a bonfire with logs of wood, solid-fuels and wooden furniture at home to be discarded, symbolizing a new beginning. Assam celebrates it as a harvesting festival where the feasts last for a week. Punjab celebrates the day as Lohri, as it indulges in Bhangra( a dance form) and festive delights with scrumptious food. 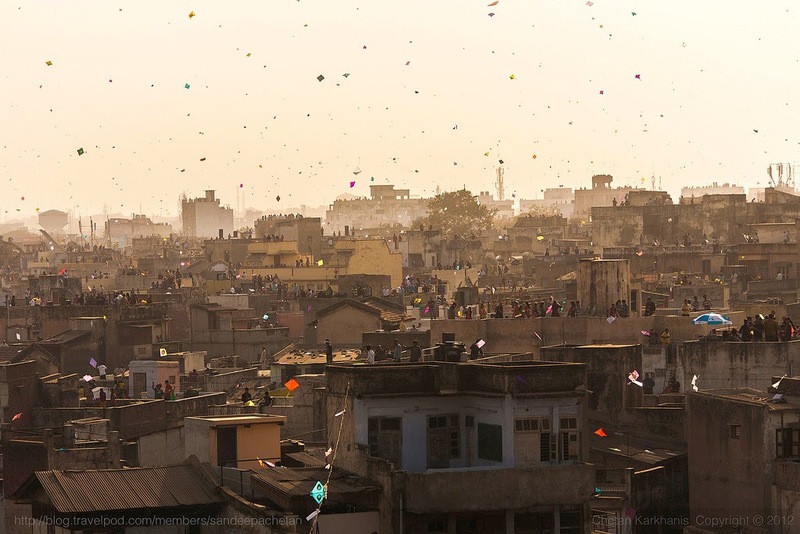 While Tamil Nadu celebrates Pongal around this time, Uttar Pradesh is famous for kite flying. Besides, there are a lot of fairs called melas celebrated in India during this time, the most famous being the Kumbh Mela. A hotel in Ahmedabad, called Patang (patang means kite in Gujarati) is based on the kite flying theme which is a revolving tower restaurant. 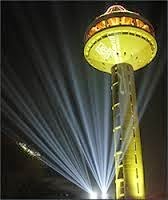 The building remains stationary and the diners are carried on the revolving floor which enables them to enjoy a panoramic view without leaving their seats. 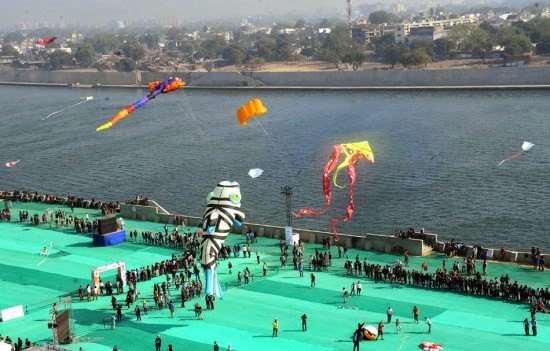 There is also a kite flying festival held on the banks of the river Sabarmati which has people from all over the world coming here with their unique kites and there is a showcase for the public. 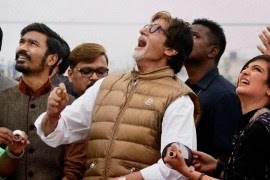 Amitabh Bachchan, one of the most famous celebrities of India had paid a visit to Ahmedabad this Uttarayan. 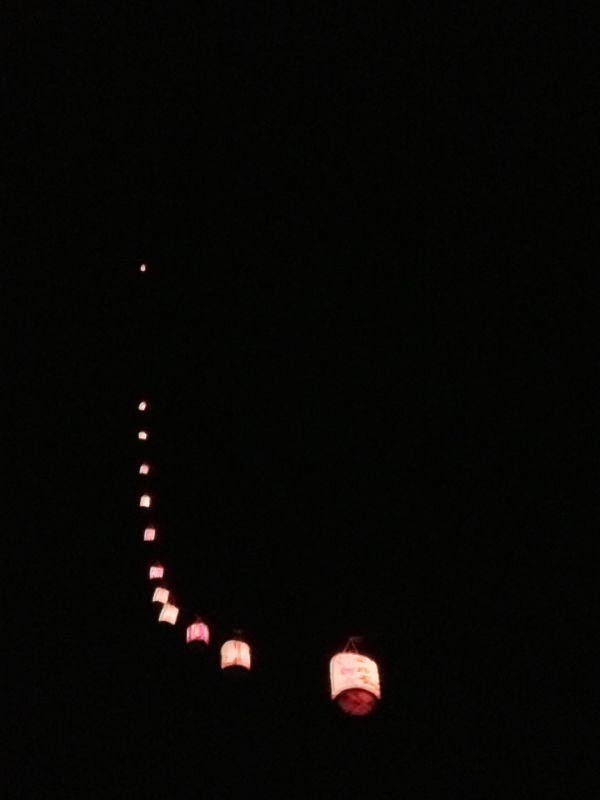 The festival ends with a Tukkal (lamps that are tied on the kite string) flying activity. 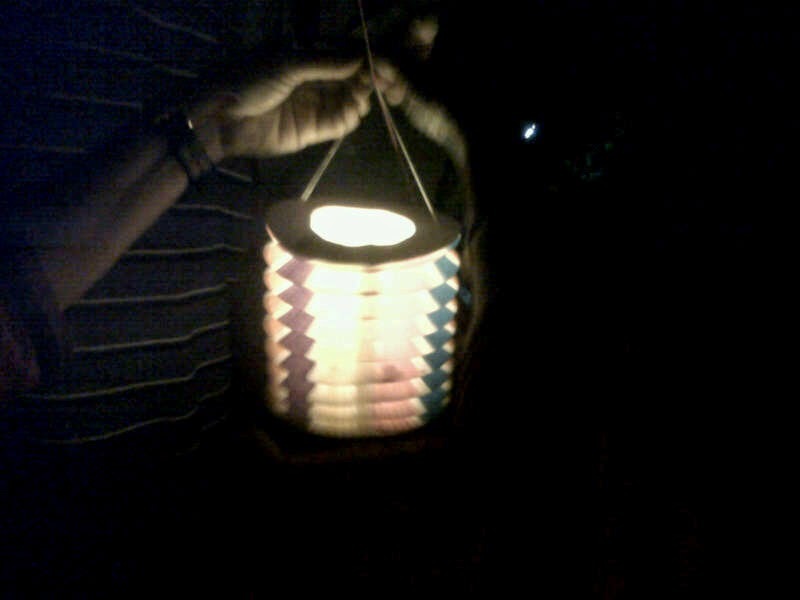 Tukkals are slightly different than the wishing lamps as they are tied to the kite string one by one. Some kites have as many as 20 tukkals which is an amazing sight. Very nice article !!! Loved the pictures also!!! Tvara my dear! while reading your article my heart is oozing with love, proud and what not? I had have eye witness your journey from preschool alphabet writing to wonderful blog writer! What a lovely achievement and accomplishment! I can see that your maternal and paternal writing genes are at best! Very nice, picture also very nice.. I just went to Gujarat through ur blog only,it just blew my mind,the power of writing may save sooo much petrol and some tickets expenses too. Bcoz u also provide journey through ur blogs.